Things change very fast in the world of mobile apps. Besides the mobile phone manufacturers adding better cameras, processors, accelerometers, and gyroscopes; mobile app developers are following those upgrades up with new and improved apps. When talking about mobile medical apps, you probably wondered if the FDA regulates them. The answer has been changing, and we will present some of the latest rules brought by the FDA to make the picture somewhat more transparent. Apps that fall into groups 1 and two are not regulated by the FDA, while apps from the fourth group are those without analogs in any known examples. Apps from the group 4 are likely to be controlled. It is explained in the FDA’s “Guidance for Industry and Food & Drug Administration Staff” guidance document. The surge of mobile healthcare apps is the surge behind FDA’s regulatory updates and changes in medical app development. According to the Mobile Medical Applications Guidance for Industry and Food & Drug Administration Staff guidance, a medical app is considered to be an app that works as an accessory to transform a mobile medical platform for a form of medical use or augment, supplement, or support an existing medical device. To ensure the effectiveness and safety of medical apps, the FDA will use the same risk-based approach that it uses for other medical devices. PMA (Premarket Approval and 510(k) pathways for putting a product on the market have been more popular than De Novo pathway, but this is changing. It is happening because the FDA is streamlining the application process without requiring a 510(k) anymore. What De Novo method provides is a way to classify new medical devices as Class I or II when there’s no predicate device. If a person believes that their medical device is appropriate for classification into these two Classes, they can submit a de novo request without preceding NSE and 510(k). The De Novo pathway is highly risk-based, which means that you can get a product on the market without a lengthy premarket approval application (PMA.) It is only if your new technology isn’t considered high risk and you’re able to demonstrate how all known risks can be mitigated. New and innovative ways for health improvement and better health care delivery are being opened with the widespread use and adoption of mobile technologies. The FDA is there to encourage mobile medical app development and has a responsibility to oversee their effectiveness and safety. 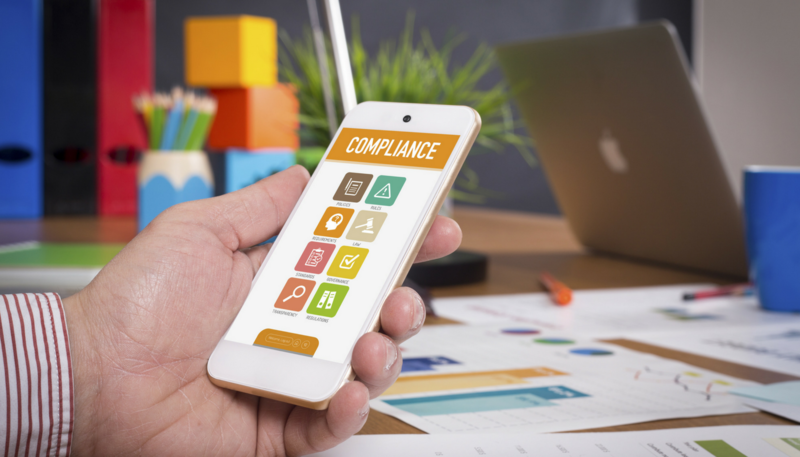 If you’re conducting a digital transformation to be FDA compliant with all new regulations and laws, involve your compliance team to ensure alignment from the beginning.